My favorite thrift store just opened anew with Spring/Summer merchandise, so of course I paid them a visit. Here's most of what I bought (a silk floral blouse isn't pictured, because I'm going to shorten the sleeves to 3/4 before I consider it wearable). None are returnable but they were all cheap, so tell me which ones shouldn't stay long in my wardrobe. (I bought all this plus Easter outfits for all five kids for under $35). 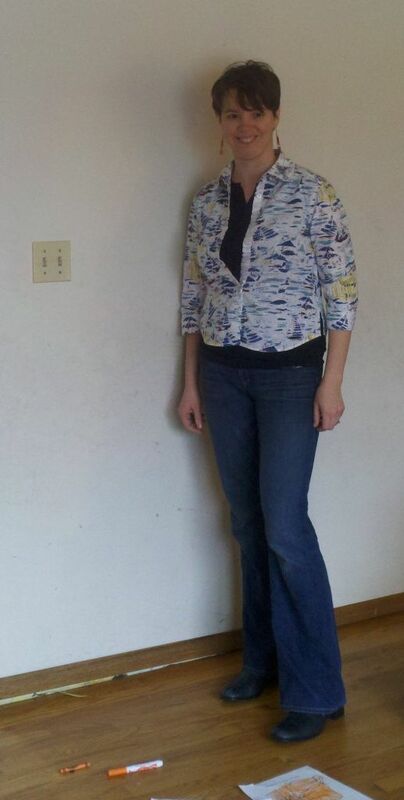 #3-4 a sailboat print eyelet top - it's too short, so I think it'll be more of a summer jacket. 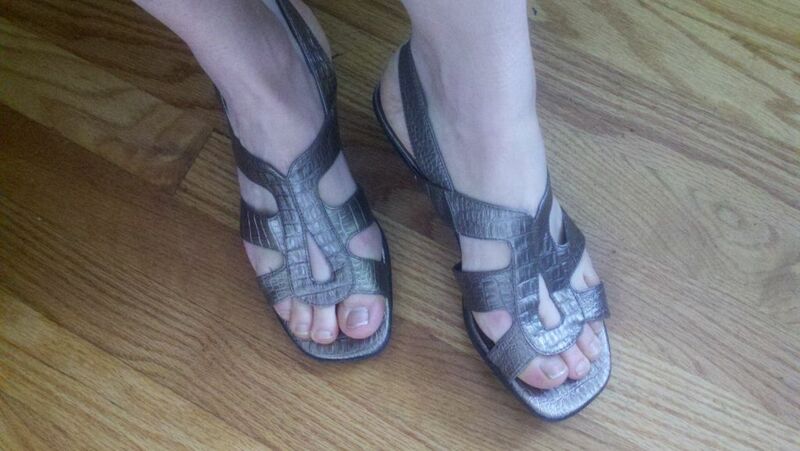 #7 business-like peep toes with a really nice cork base. You, Shannon and Claire have the most amazing thrift stores! I really like the floral in the jacket. The higher stance in the jacket makes it a little less modern, but by mixing it with amazing modern fit of your white jeans, you should have a terrific outfit. It'll only be 40 degrees here! Like all the shoes! Are the black peeps like a flatform? The blue shirt is a little short. Ask yourself -- will I reach for this over every fab thing in my closet? Will it also be a second choice? I like the lavender on you --- its certainly a on trend choice! I'm less wild on it with the pants. Maybe a straighter leg? Or, even better, a fab pencil skirt? Yes, the black peeps are a platform - about 1.5 - 1.75 inches tall. I LOVE the outfit in 1 and 2, and I think the jacket will look great with your white jeans too. I agree the shirt in 3 is too short. All the shoes are great additions too. 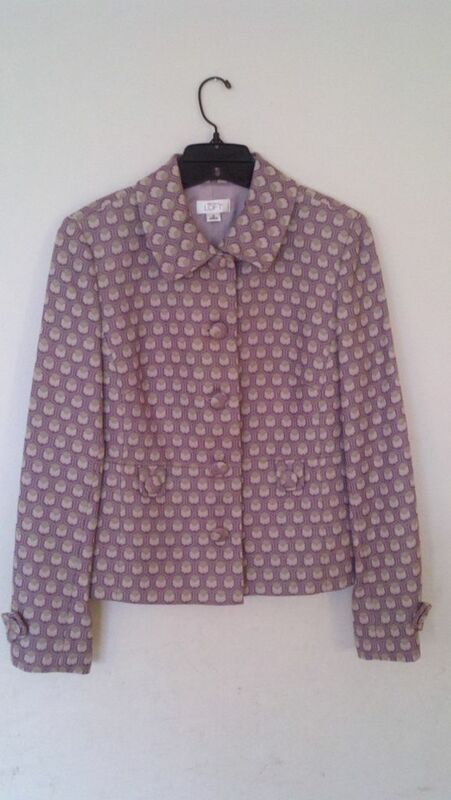 I'm not sold on the lavender jacket - the pattern and style read very mature to my eye, and the colour seems a bit blah for you. But it might be one of those pieces that just doesn't photograph well. I love everything except the Ann Taylor jacket. 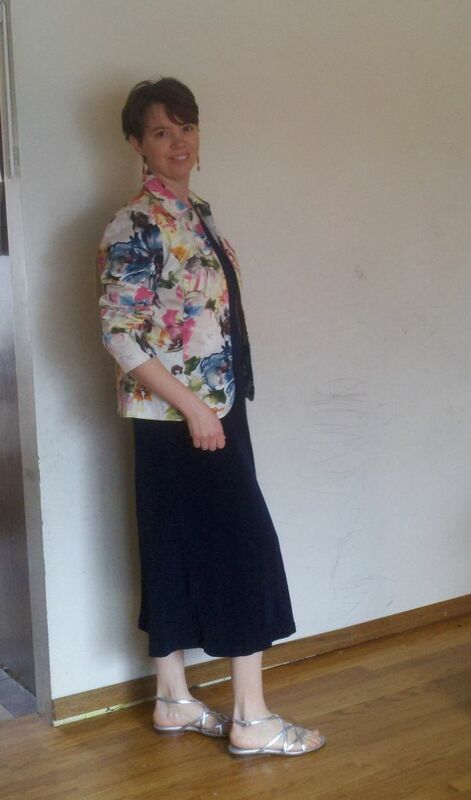 I like the bright pop of the first floral jacket, the colors are gorgeous. This will look amazing with your white jeans. I really like the second jacket open. I think it pulls a bit when closed, not unusual in jackets, but it looks fantastic open and makes such a nice long line. all the sandals are keepers. Those are fab finds! i am not loving the AT jacket as I said. Please don't take offense, but I think you need a brighter more vibrant color, particularly with your wardrobe, and the cut is a bit frumpy IMHO. Thanks! I don't love the AT jacket either - which is why I posted it. (I bought it last fall, not long after joining YLF, but far before anything started making sense to me. I thought it would be good for Spring, but when I dug it out of the back of the closet, I realized that it probably wouldn't. So I just posted it for confirmation. The style is too conservative for me right now, and the color isn't a great choice for me. Great shoes! 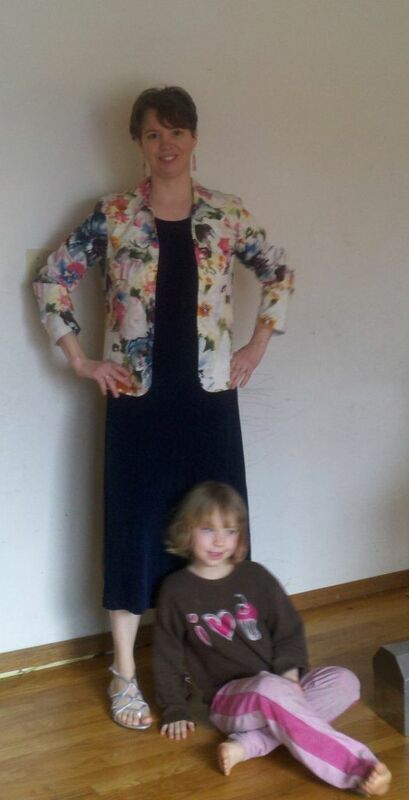 I like the flowered blazer. 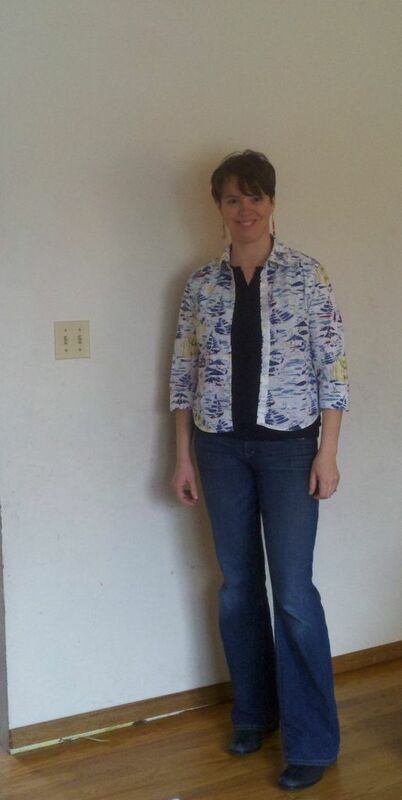 I do think the sailboat top is a bit short, but maybe in summer it would work as a light topper. I think that lavender jacket can go -- it doesn't do you any favours. I'm agreeing with the others. Love the shoes, they are all keepers. I do think the shade of the last jacket washes you out a little and I'm sure a talented sewer like you can address the stance of the first jacket.